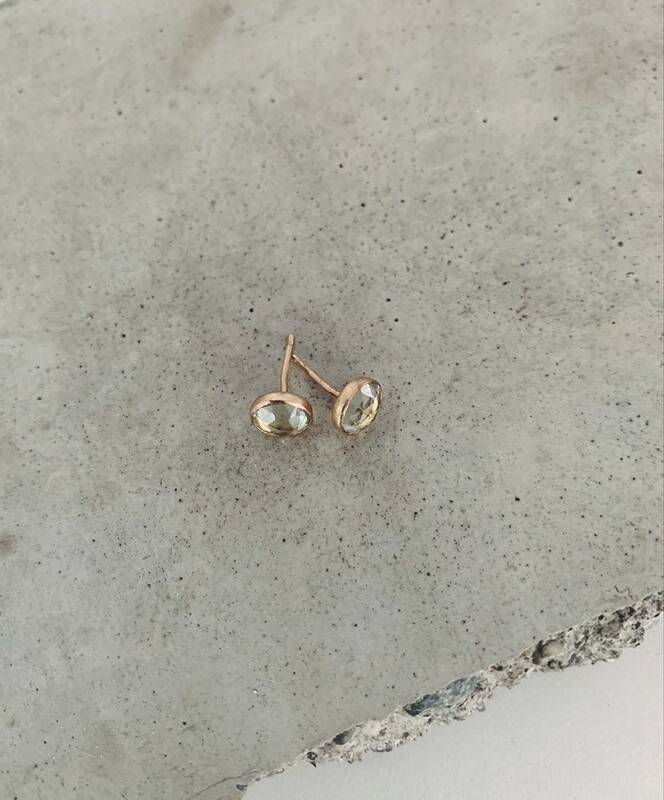 Prasiolite, also know as ‘green amethyst’ offers a beautiful hint of green against the gorgeous glimmer of rose cut faceting. 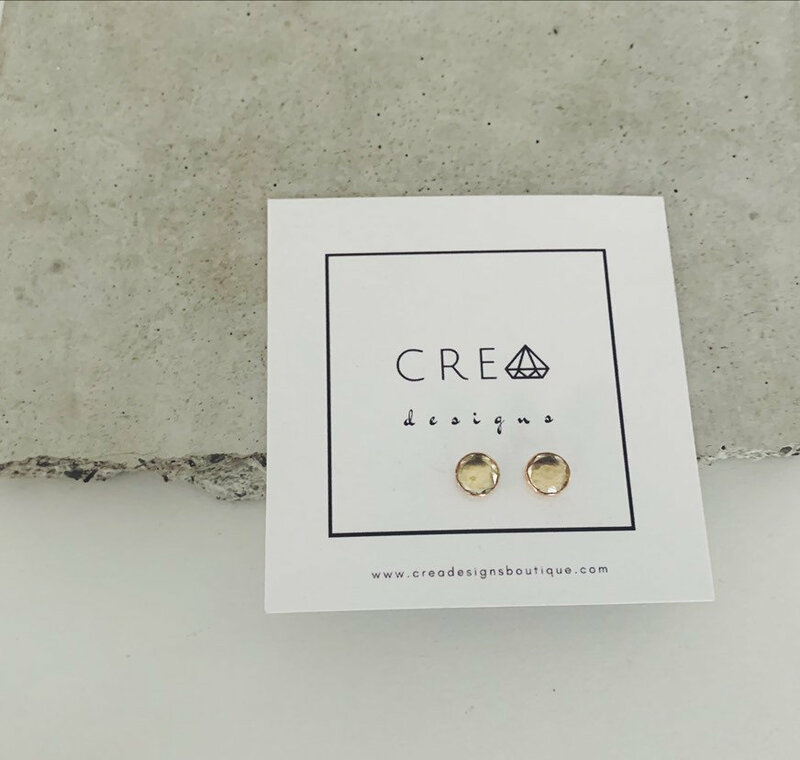 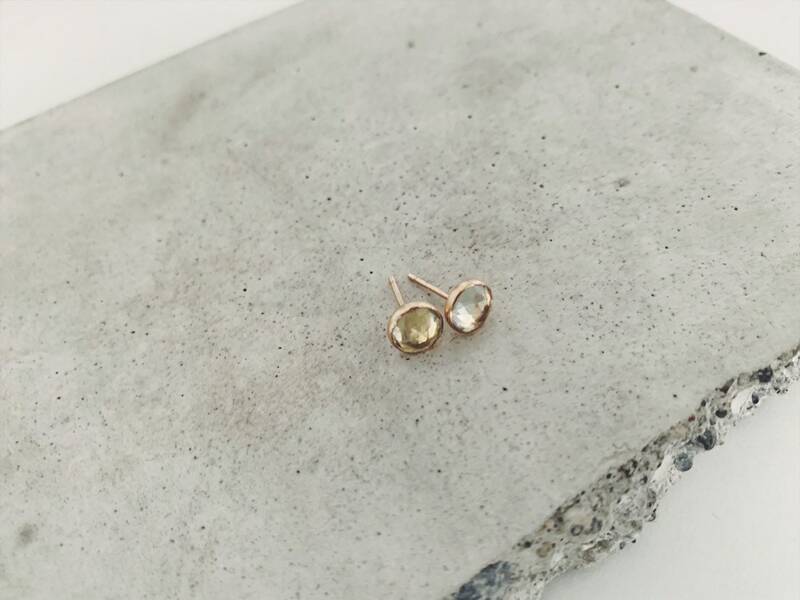 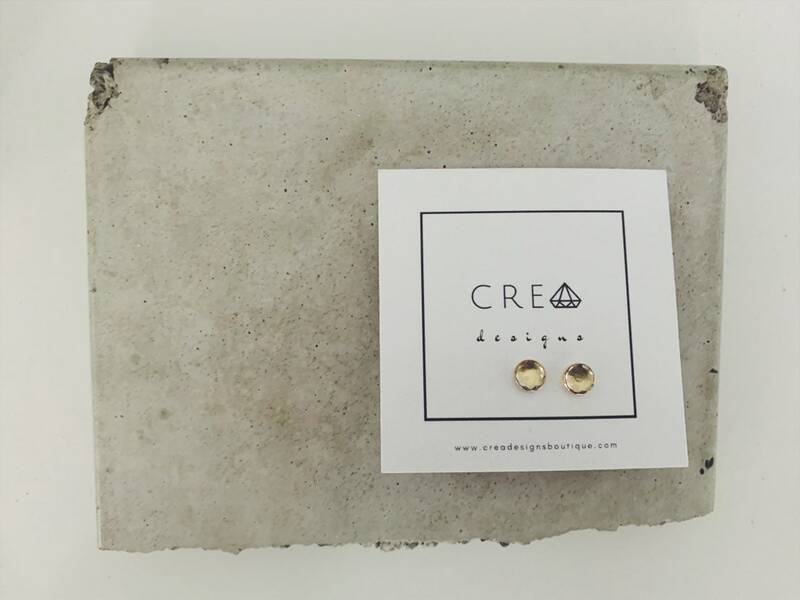 Perfect stud earrings for everyday, choose between sterling silver or 14k yellow gold fill. 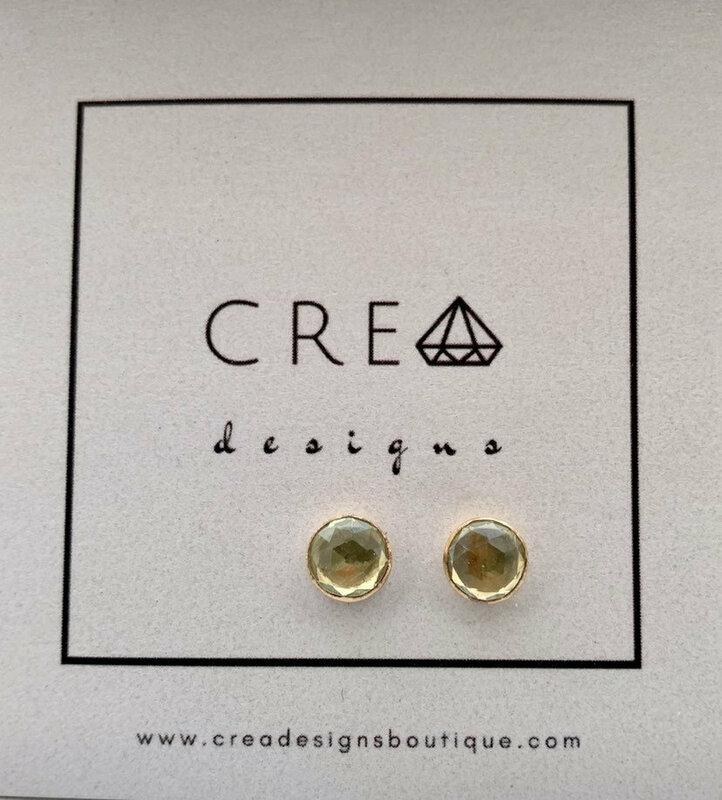 Bezel set 6mm prasiolite studs.